On Feb 9, EOS is trading at $2.35, says Dmitriy Gurkovskiy, Chief Analyst at RoboForex. EOS continuing its downtrend. 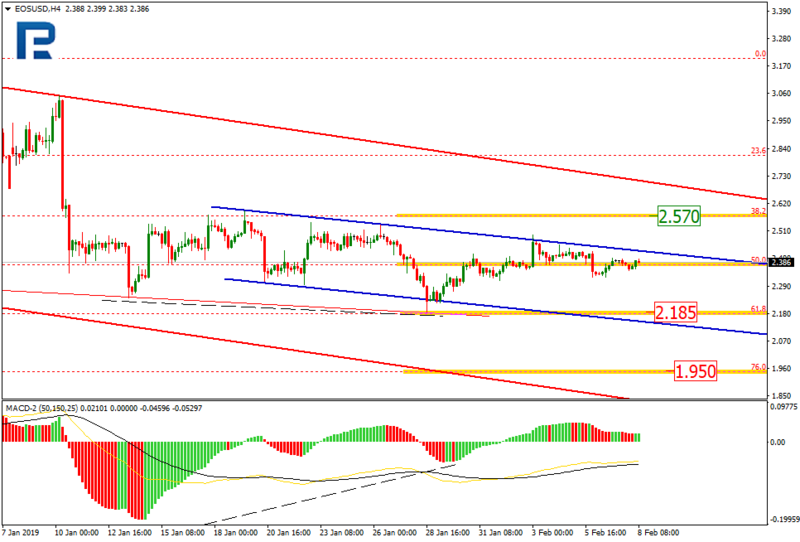 After converging and hitting 61.80% Fibo on H4, the coin is correcting; it has already reached 50%, being around the diagonal channel resistance, and may head up further to $2.57. Conversely, in case the current low at $2.18 gets broken out, the price may go down to 76% Fibo, or $1.95. On H1, EOS bounced off the resistance and started going down, although still trying to take down the resistance area. 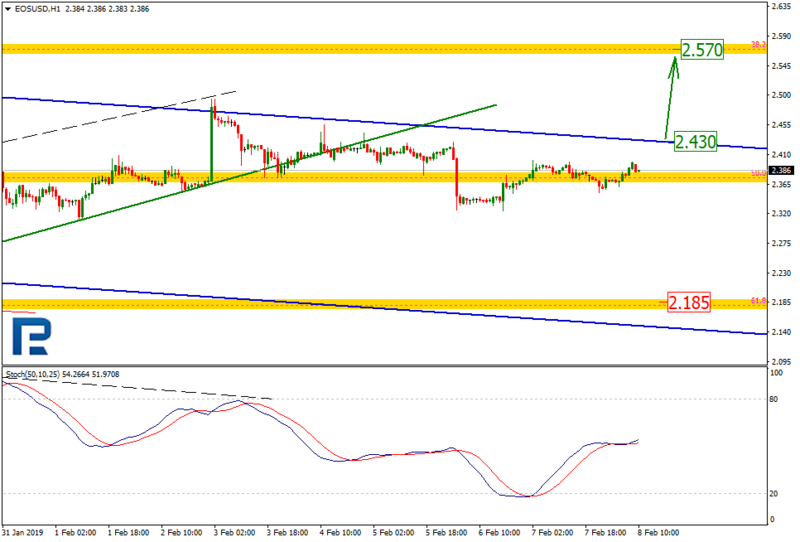 The price may break out $2.43, which will send it higher to $2.57. The Chinese government published its most in-demand crypto rating, where EOS took the first place, and Ether, the second, while the volatile Bitcoin is only 15th out of 34. The rating is mostly based on the tech value and the practical use. In the market cap rating, meanwhile, EOS is 4th, while the first three places go to BTC, XRP, and ETH. The rating houses 100 cryptos, 11 out of them being giants. 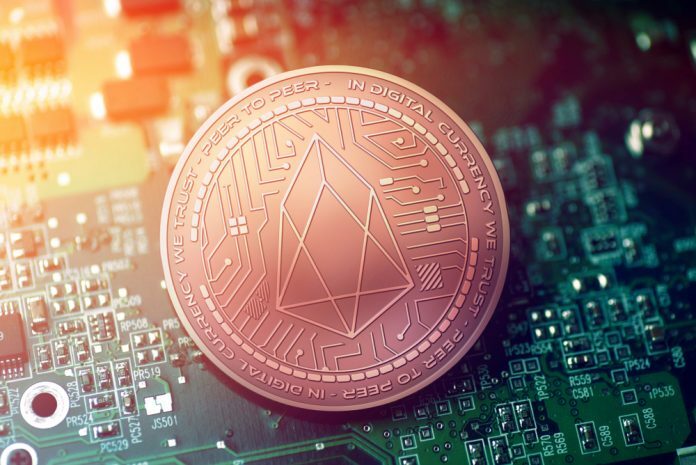 Fundamentals are mostly positive for the EOS. White hackers found five vulnerabilities within the network over the last few weeks, those issues having been immediately resolved. This was totally financed by EOS who pays the programmers for bug fixing. According to HackerOne, eight bugs have already been fixed since the beginning of this year. Such practice is quite widespread among the crypto companies, while the bug details are not usually disclosed. Over 2018, crypto companies paid $878,000 to the bug fixers, 60% of those being EOS.